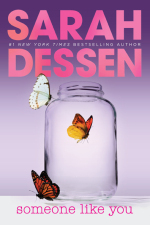 The Compulsive Reader: Cover Talk: New Sarah Dessen Covers! I don't get the glass and the butterfies one, it's pretty but I don't get it. Because of the glasses and the beach I thought it was more appropriate for Keeping the Moon. I'm not sure if I like the old covers or new covers better but I do adore both of them. 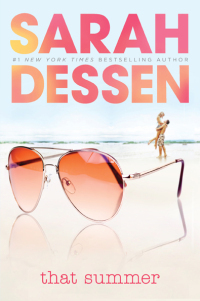 These will definitely catch more teens that haven't read Sarah Dessen yet, with the bright colors and all! I'm not sure how I feel about these changes because I am very used to the old covers. However the sunglasses do a great job of conveying summer so that's good. It's the colors I like more than the graphics themselves.